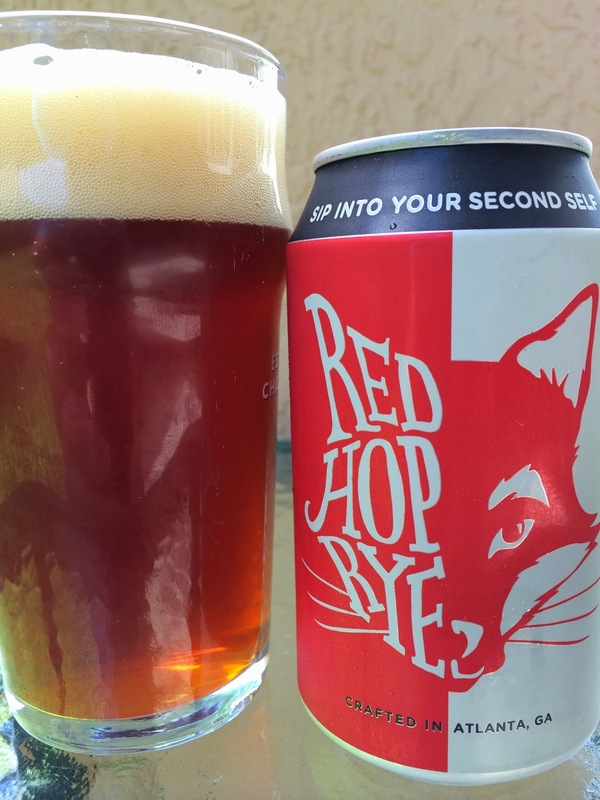 Second Self Beer Company opened in Atlanta in Fall, 2014, and recently canned two of their flagship beers: Red Hop Rye and Thai Wheat. The agency representing the brewery arranged to have a sample of each sent for review. Each can has two panels. The first panel is a face divided, presumably the "Second Self" and a second panel has what they call a "flavor stack" describing the beer. The pictures here should help you slow people out! Two homebrewers (Jason Santamaria and Chris Doyle) finally took the pro plunge. Besides their homebrewing experience, Chris worked for Freddy at Sweetwater and Jason has a food and business background. It was time! 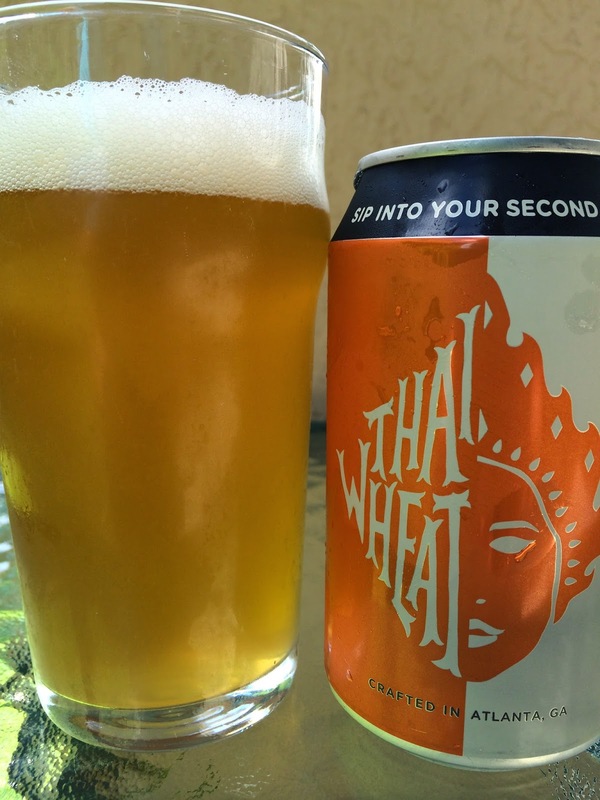 Their beers are designed to be consumed with food, so "my bad" on that part of these reviews! Rich color. Nice caramel sweet aroma. Sweet caramel flavors follow with a touch of honey and herbal flavor profile. Rye appears mid sip, not too sharp. 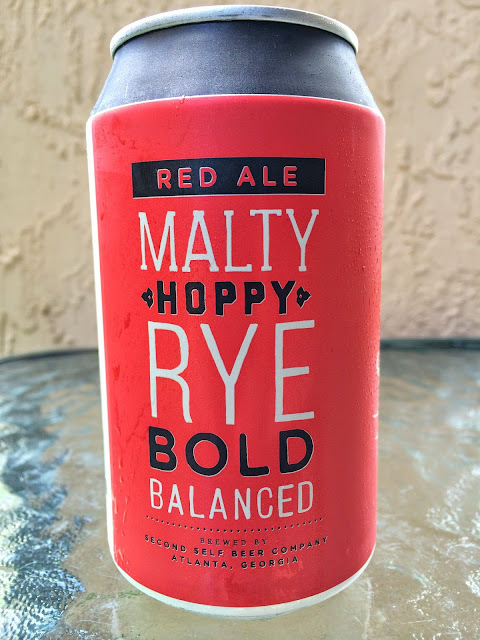 Some hoppy, piney balance does come, especially at the finish. Overall, good flavors, but I think a little boring. Could use a little spicy kick or bit of citrus, but again, I'm just an out-loud thinker. Lemony and spicy aroma. Tangy, grainy flavors to start. 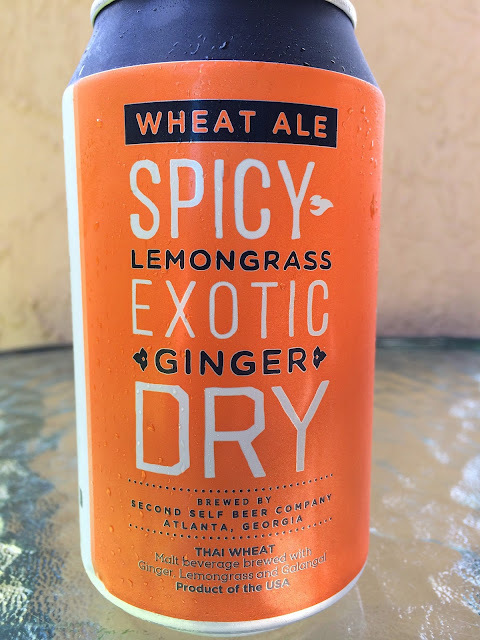 Spicy ginger takes over with a hint of lemon. Light bitterness. And a lingering spice. I can absolutely understand this as a beer to be paired with food. I do like the can art with faces made of half beer name/half second face. Descriptions are nice too on expectations. Since the agency told me these are meant to be paired with food, it would be nice to include that info on the cans as well, some suggestions. Best of luck to this new brewery. My sister lives in Atlanta, so I'll be stopping by some time!